Façade elements need to withstand horizontal wind loads as well as local stresses created at the connector and anchorage positions. The horizontal wind loads acting on a façade element cycle from pressure to suction in the built environment. Consequently, these wind loads inherently cause deformation and potential cracking of concrete elements overtime. The extent of this deformation and cracking is generally quantified by means of full-scale wind tests in a so-called wind chamber as depicted in the figure. In this task, the durability of the full or half-elements was assessed through this type of test, whereby the wind load cycles was adjusted according to varying magnitudes and exposure times. 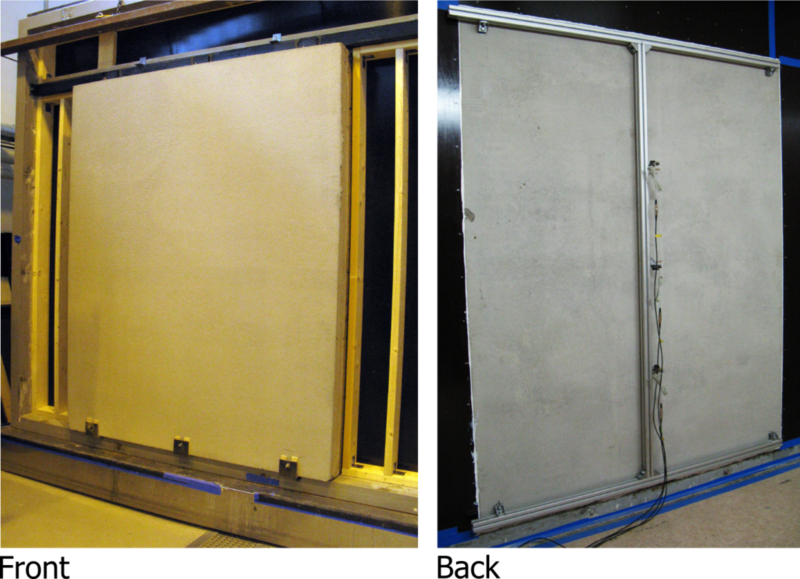 Full-scale durability tests of elements in the wind chamber.